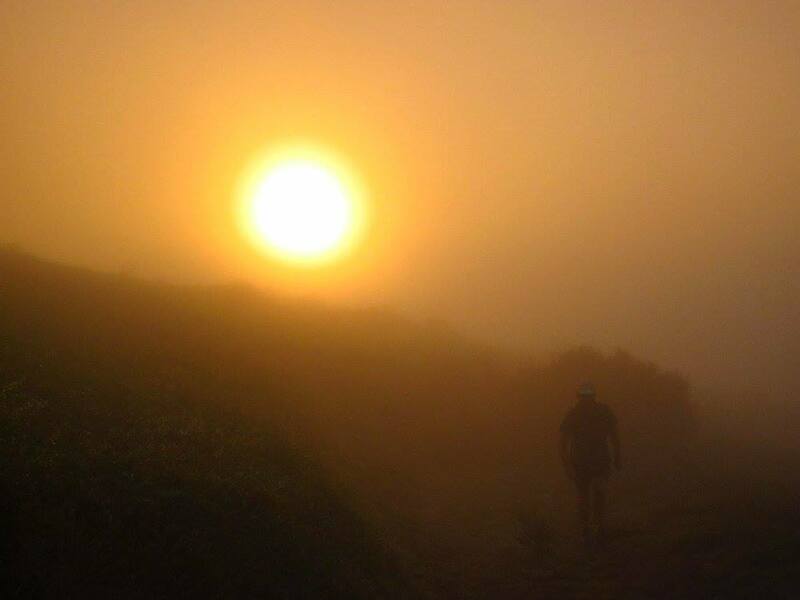 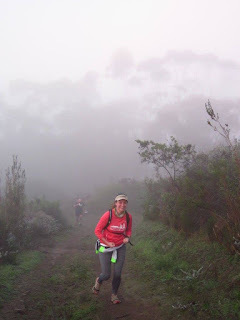 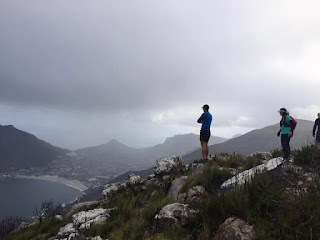 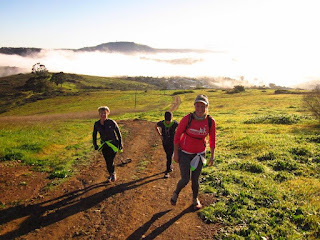 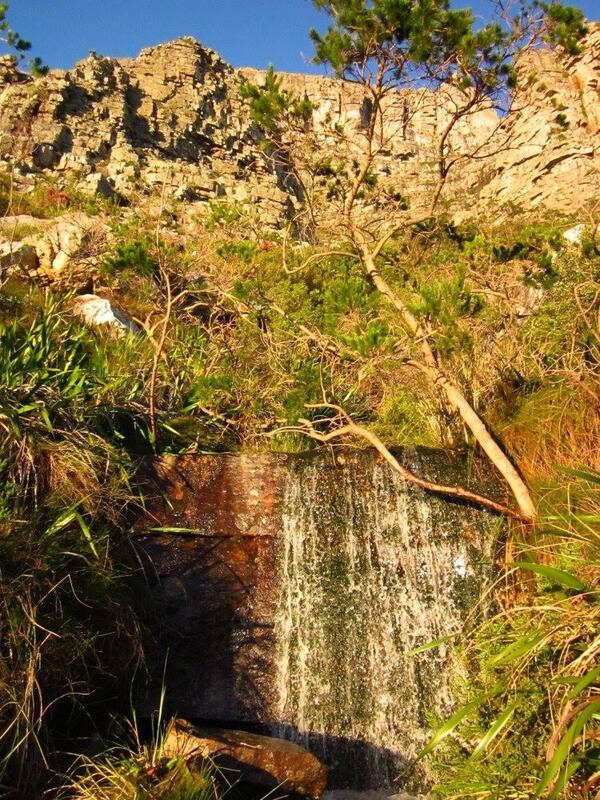 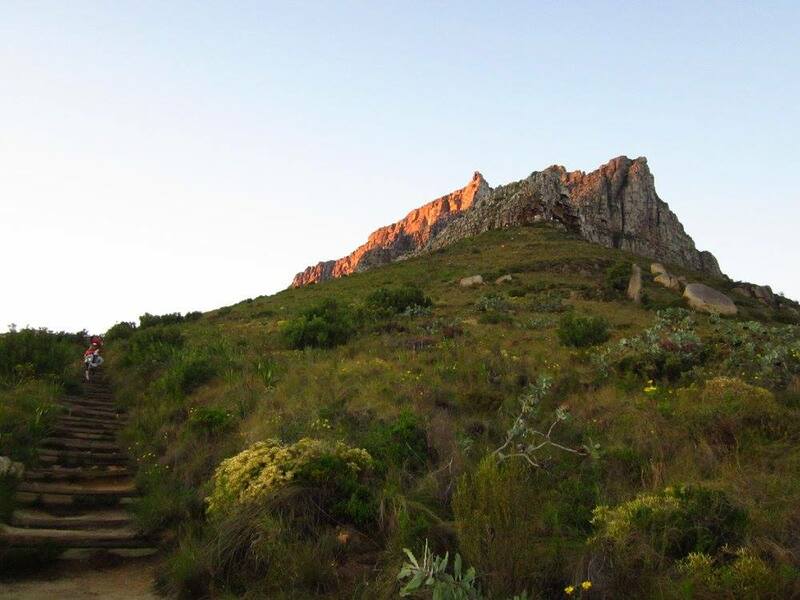 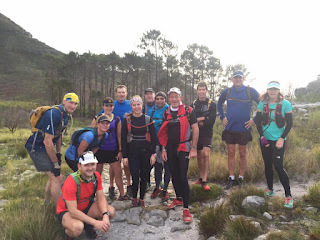 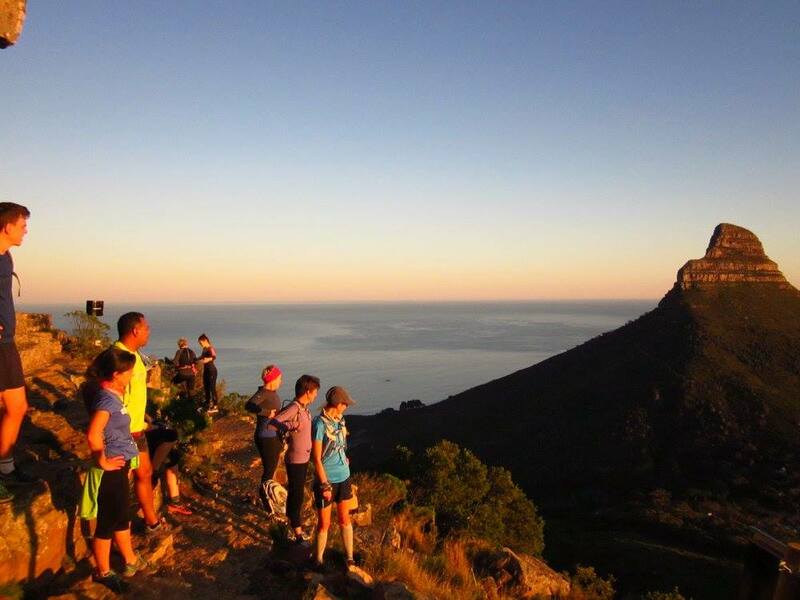 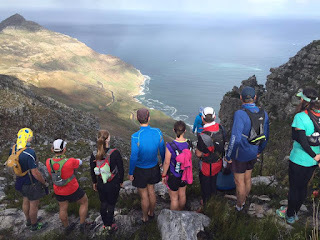 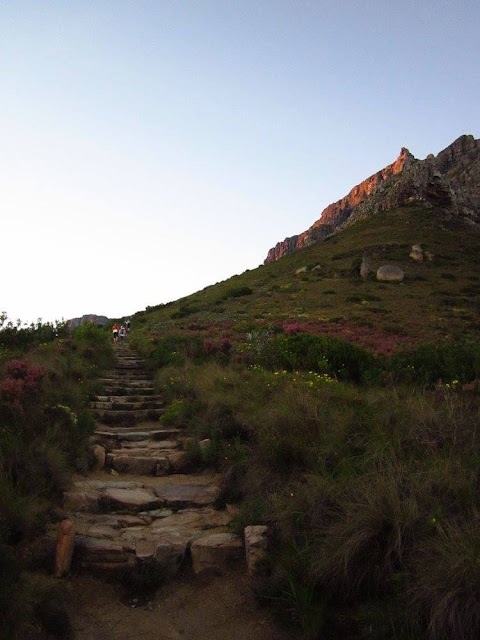 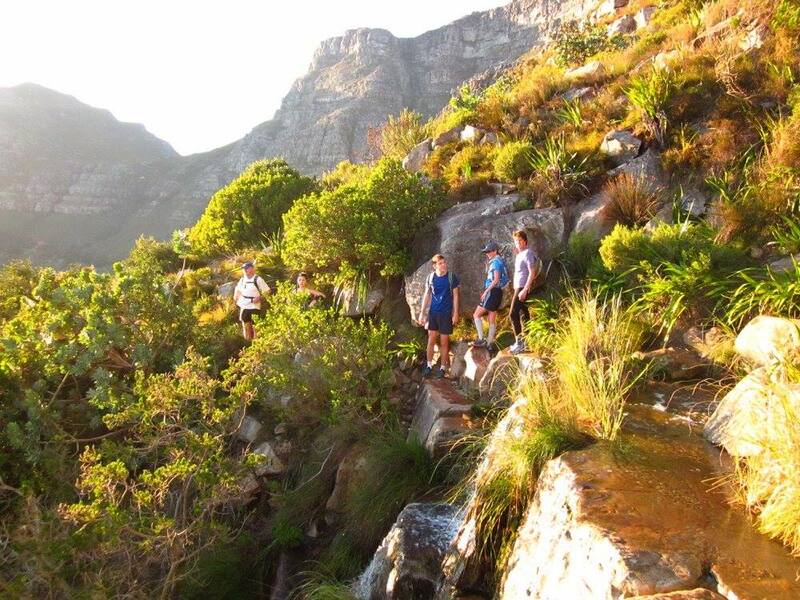 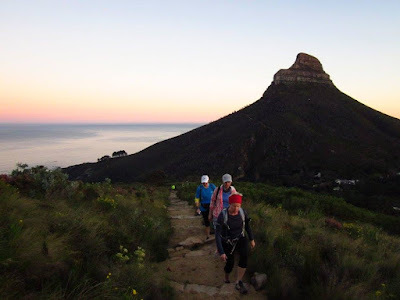 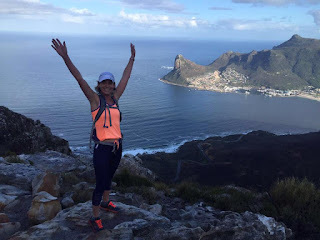 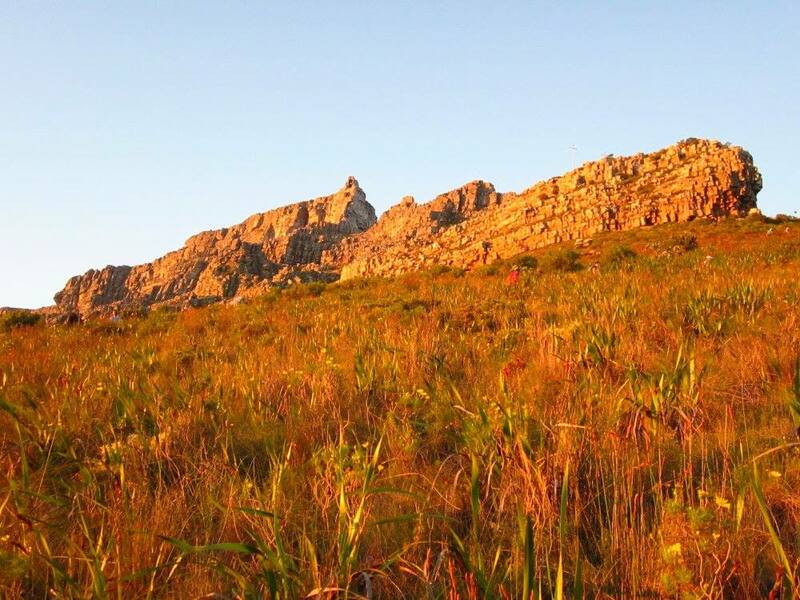 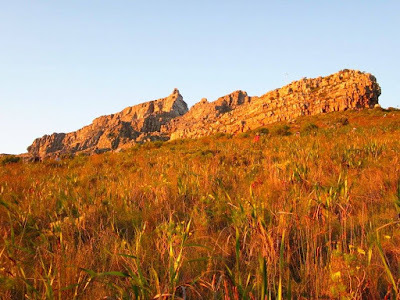 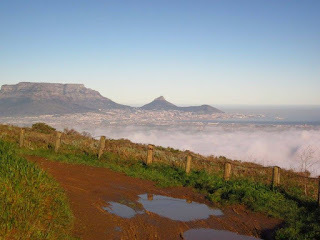 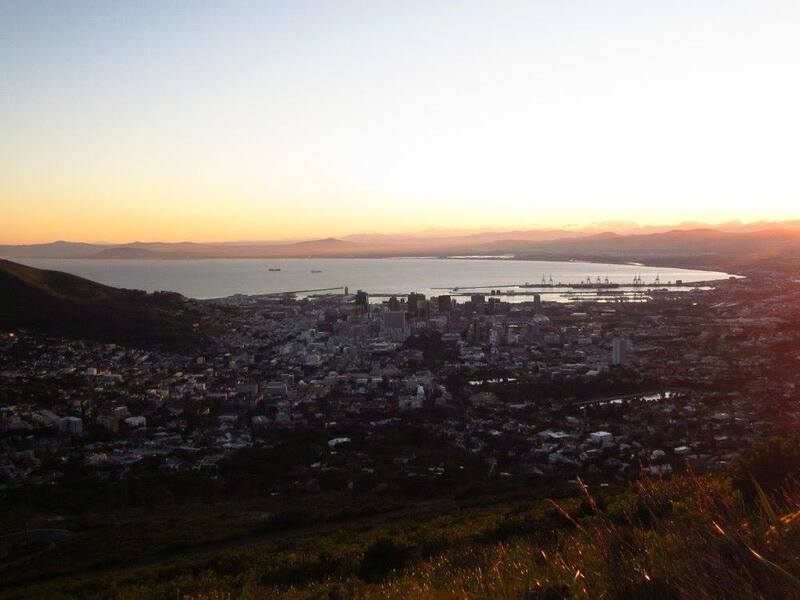 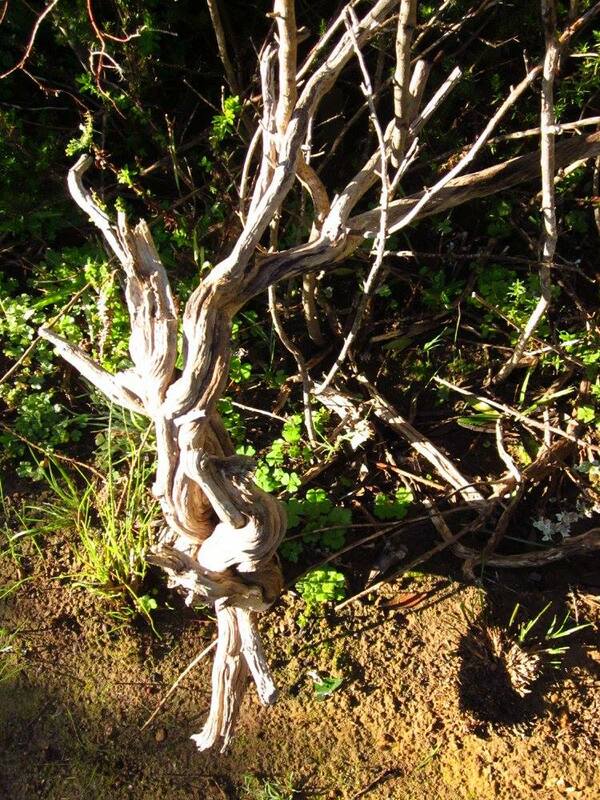 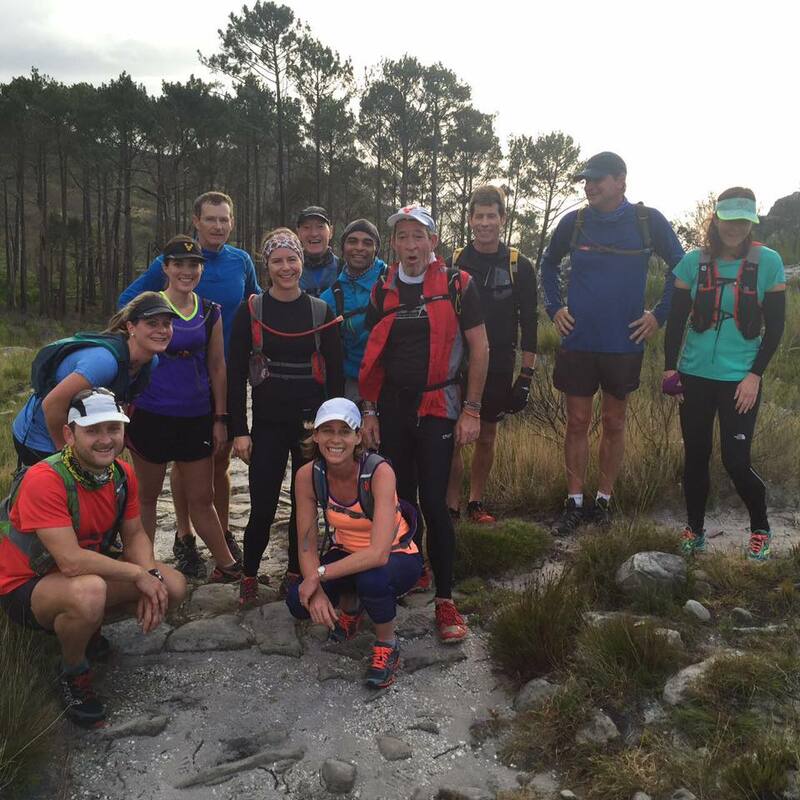 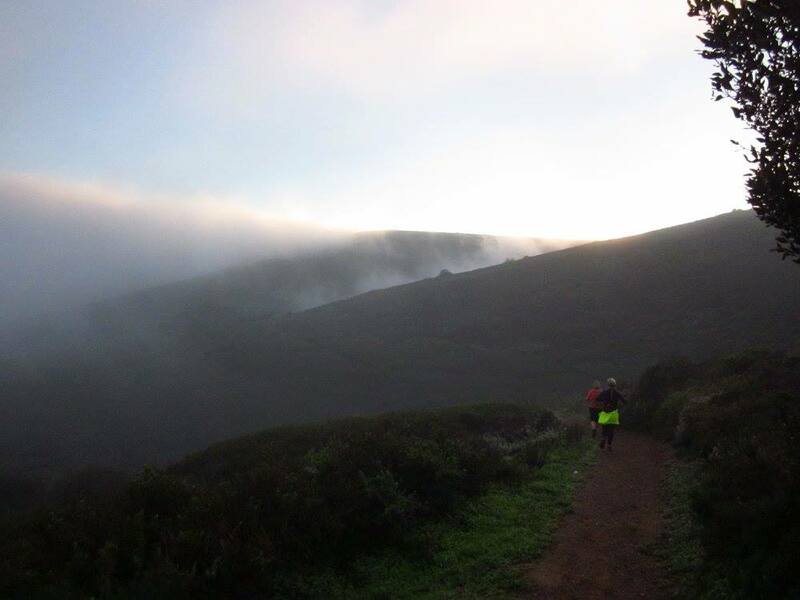 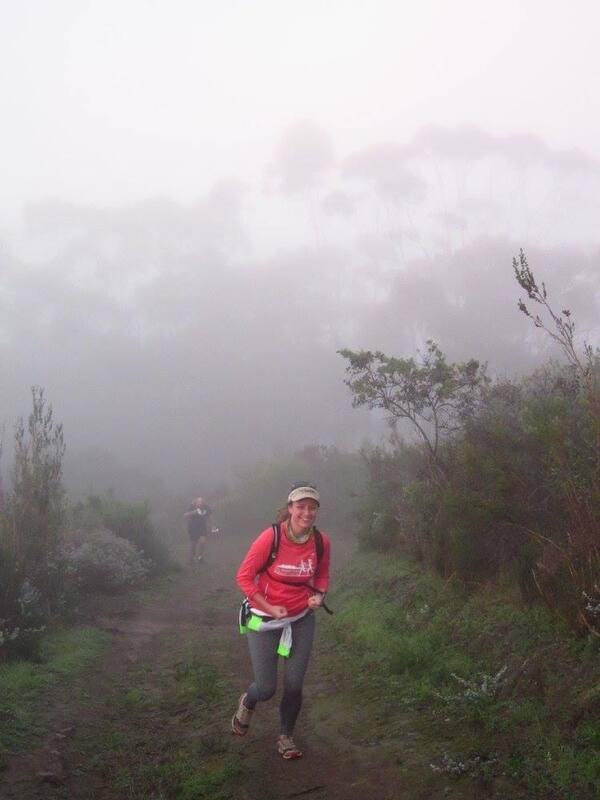 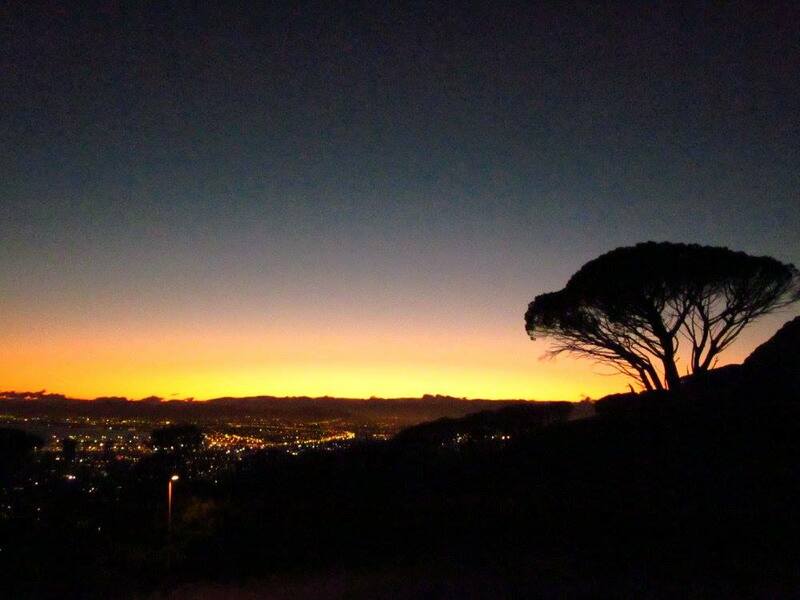 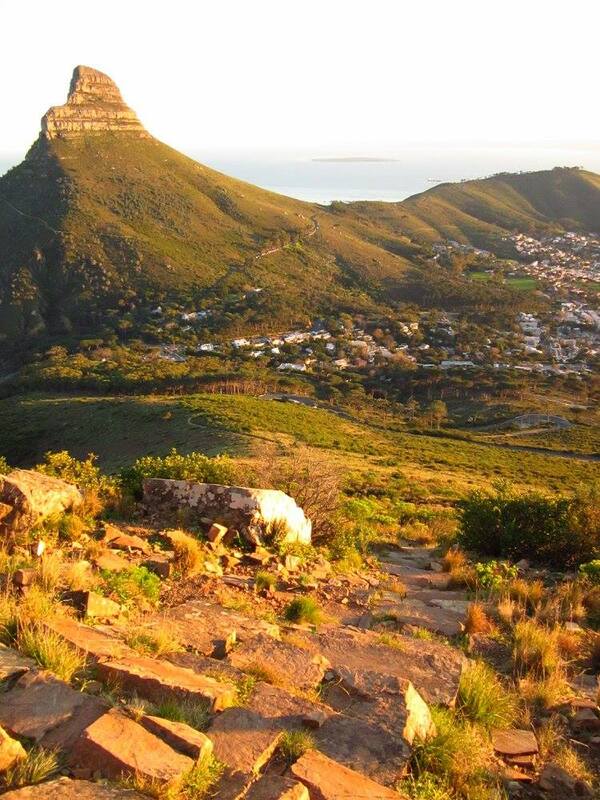 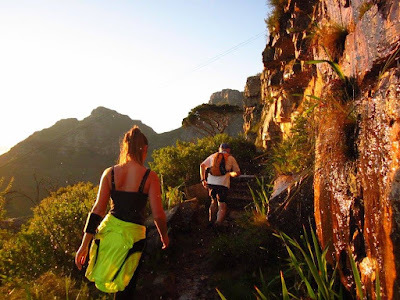 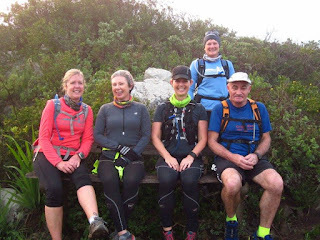 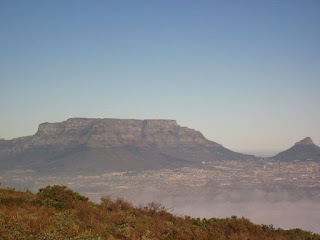 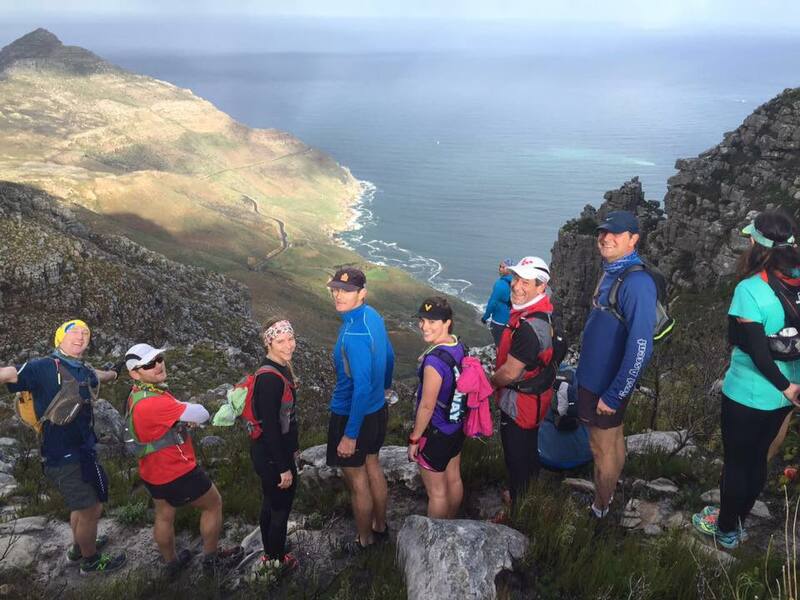 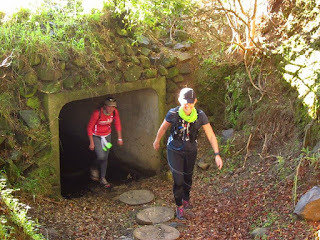 A straight forward out and back run along the scenic trail across the North Face of Table Mountain to Devil's Peak or a little further (Oppelskop path) and return. 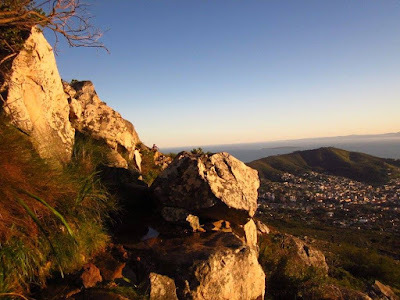 Terrain and DistanceA good fairly steep climb up to the upper contour path below Kloof Corner ridge then along the undulating single mountain contour trail which runs across the North face overlooking the City. 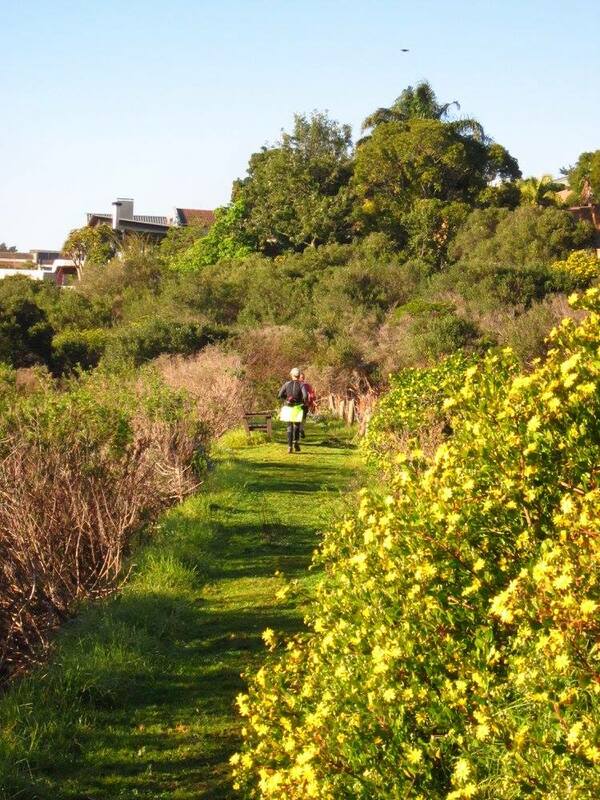 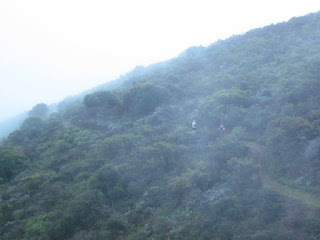 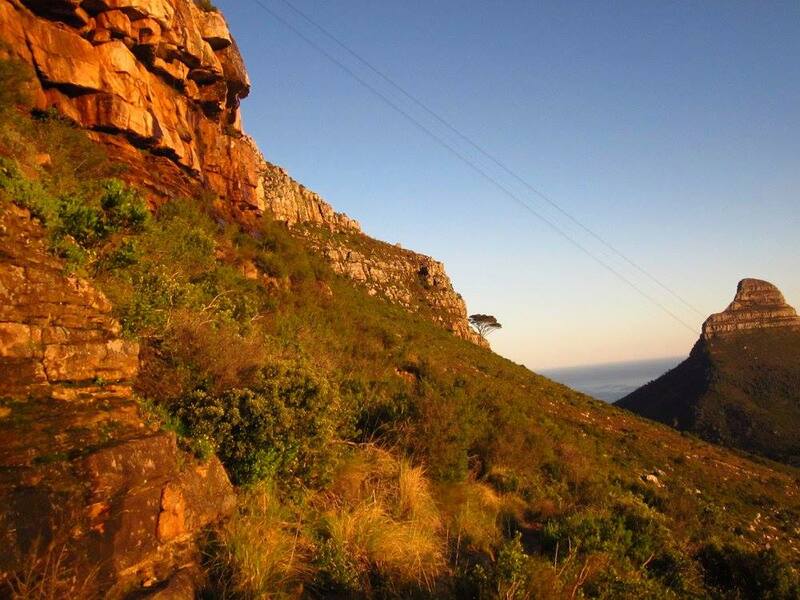 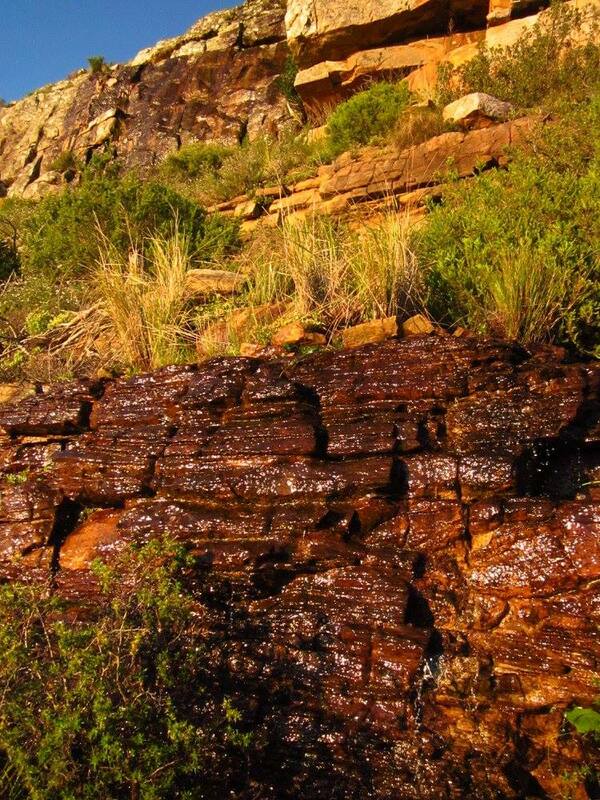 As opposed to returning via the boring tar road we turn back at Block house ridge and retrace our steps back to above the lower cableway station then descend down to Tafelberg Rd and follow it back to Kloof Nek. Feedback by way of photos. 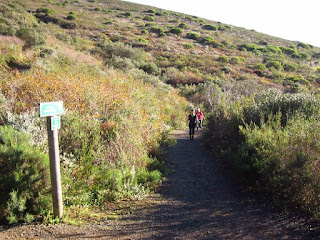 Mostly single track with a few short sections of jeep track inbetween. 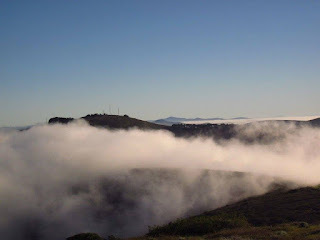 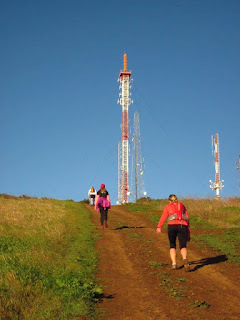 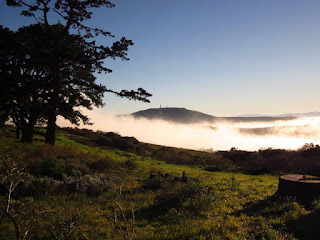 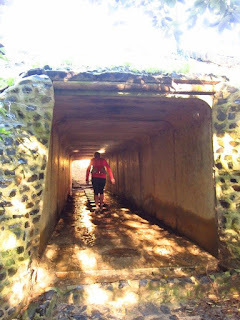 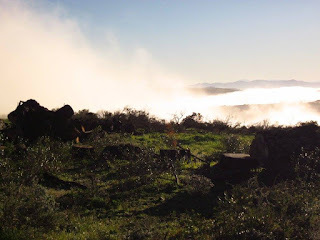 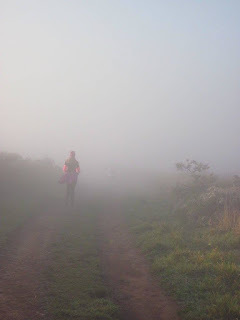 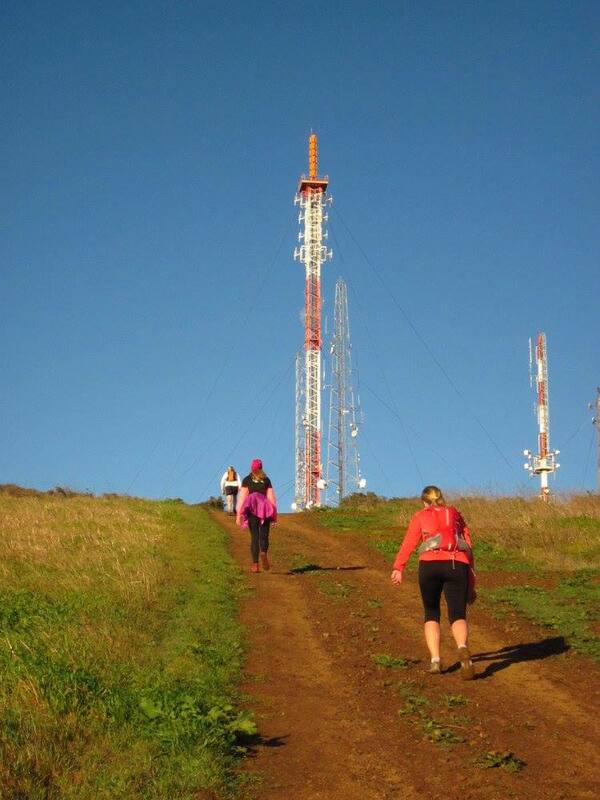 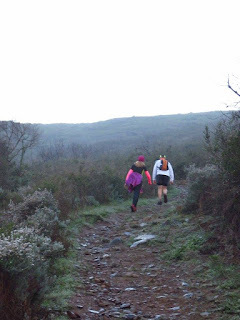 of running and hiking. 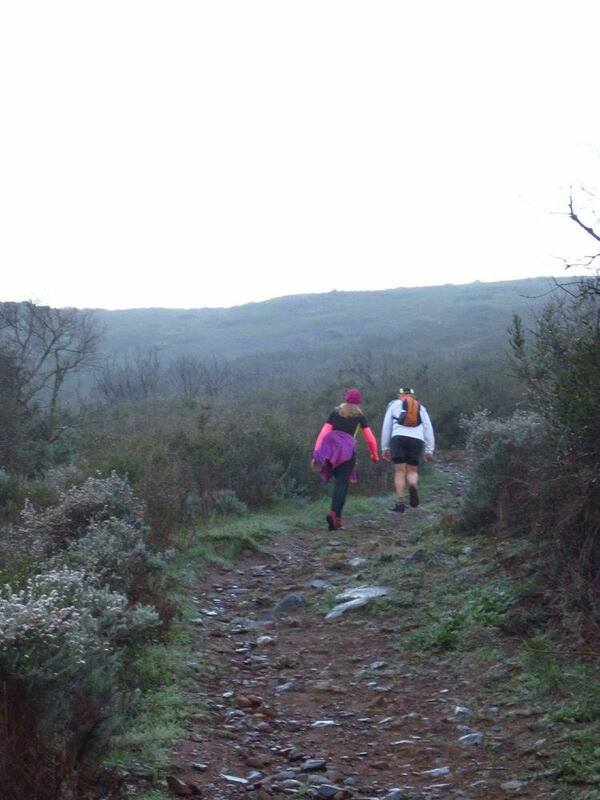 Distance about 13kms, taking about 2-2h30. 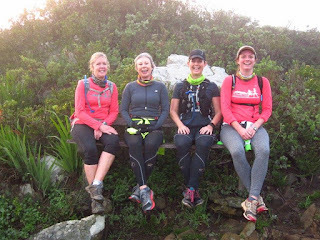 Hi All – just a reminder about T-shirt orders. 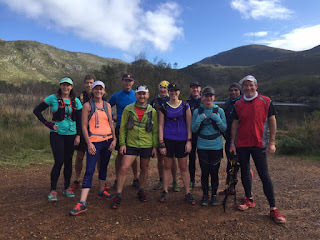 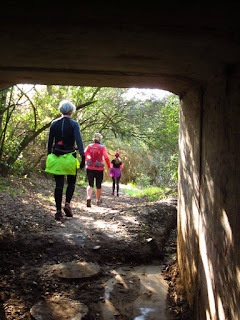 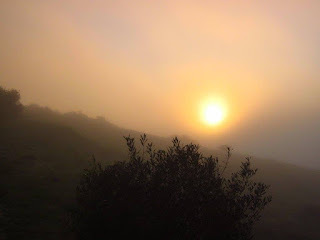 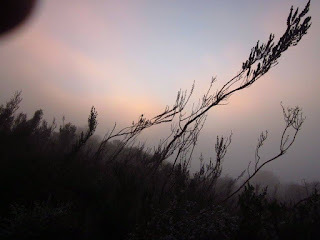 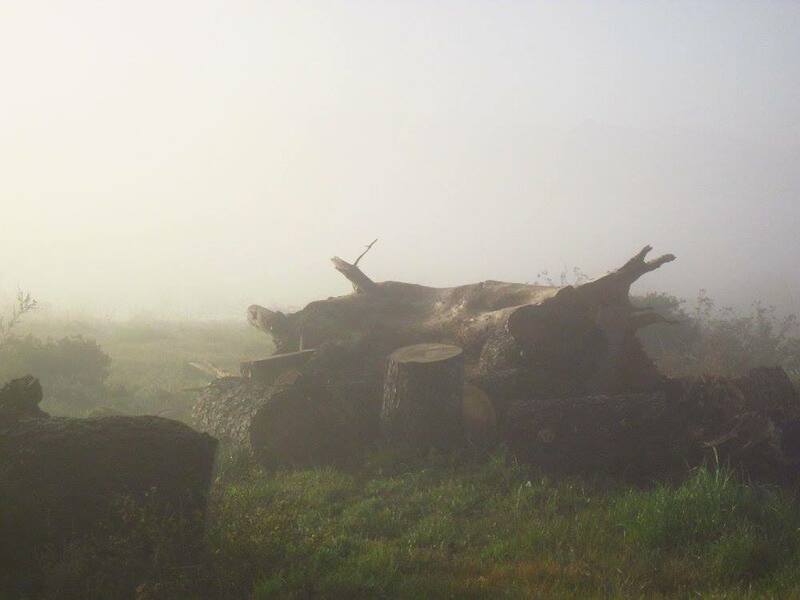 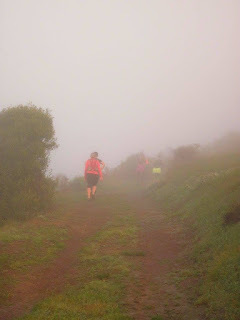 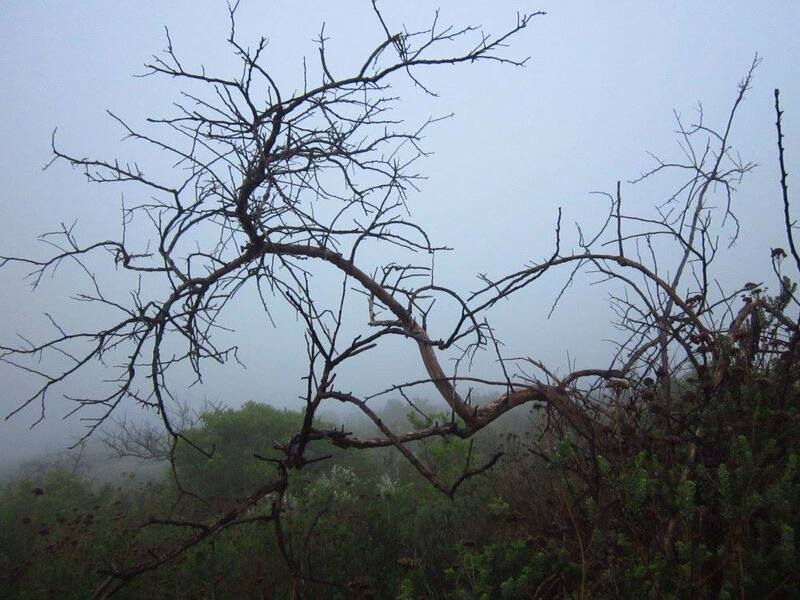 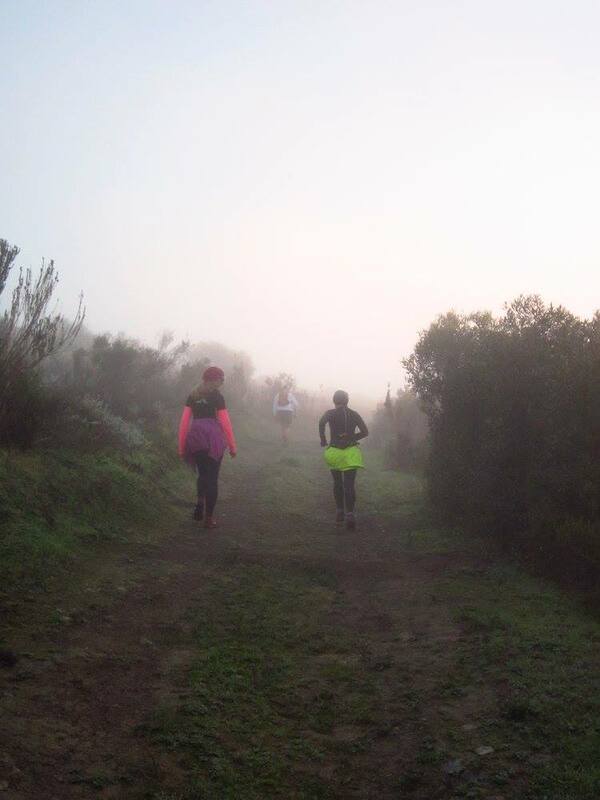 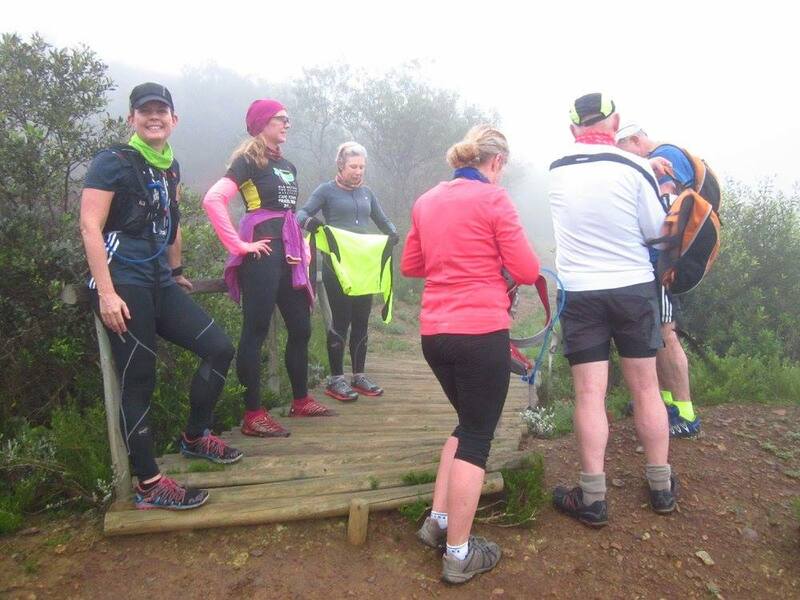 16 intrepid trailers braved the drive through thick mist to gather at the entrance to Tygerberg Nature Reserve. 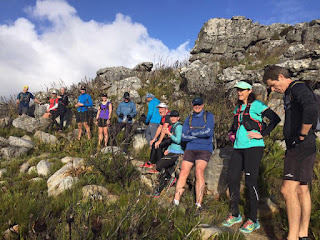 Geoff led the exclusively male faster group, making up the route as he went due to some of the planned route being dangerously slippery. Neil and Randolph joined the mostly female medium group as they meandered through the mist up to the mast and down round the dam. 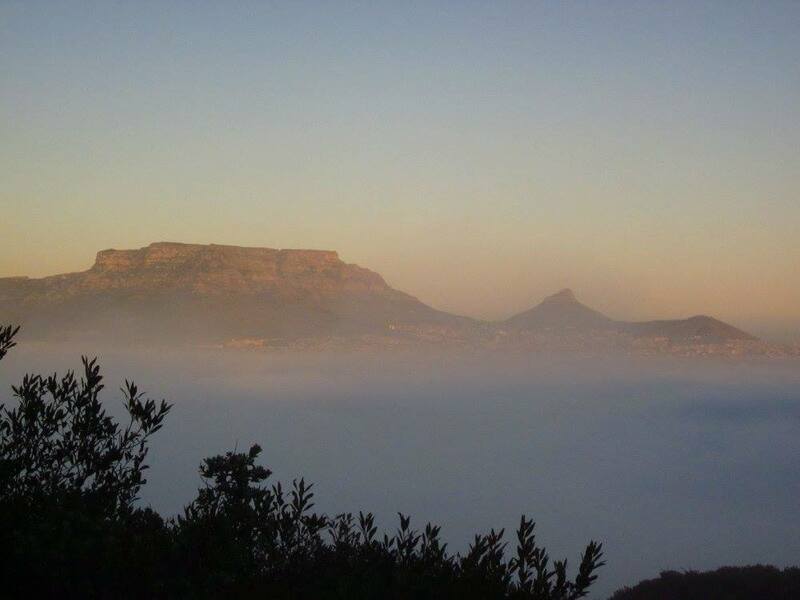 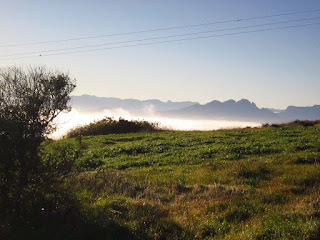 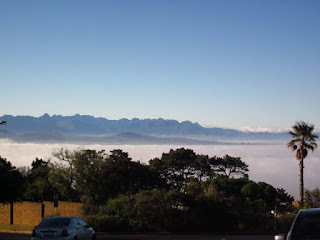 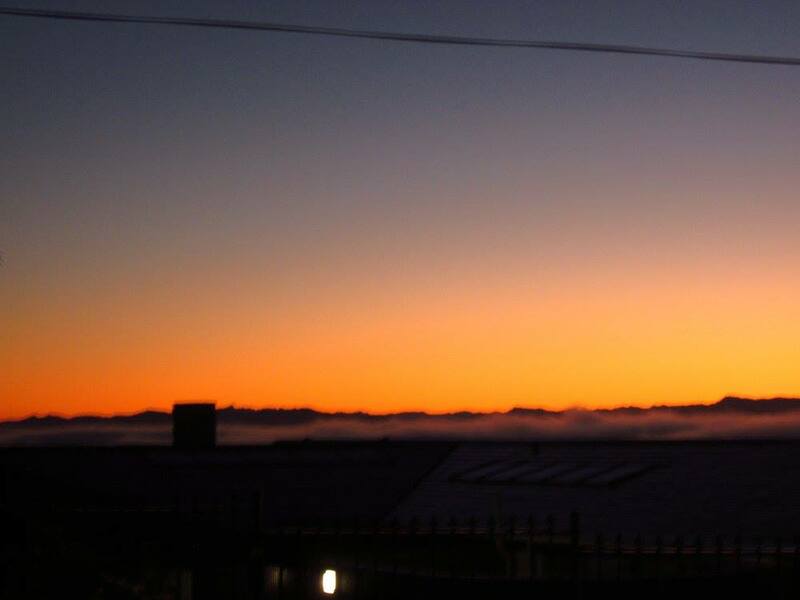 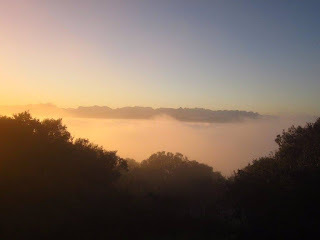 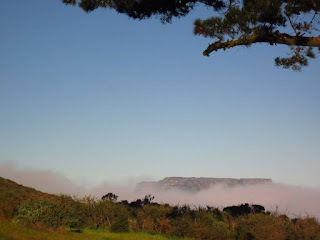 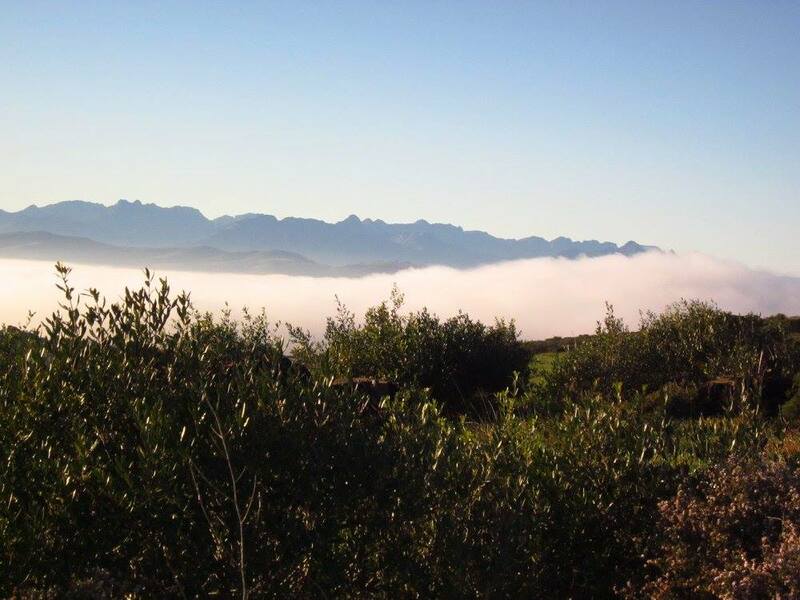 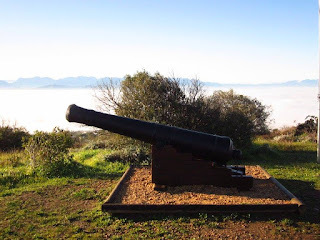 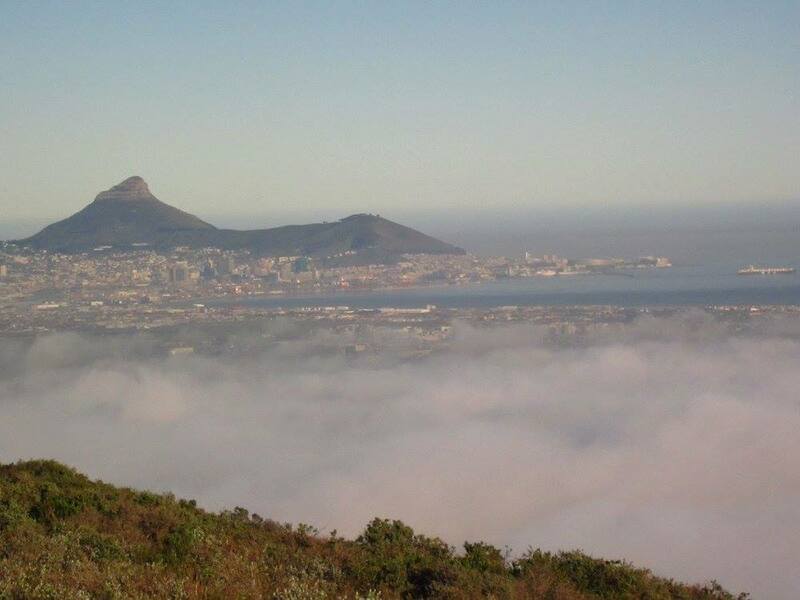 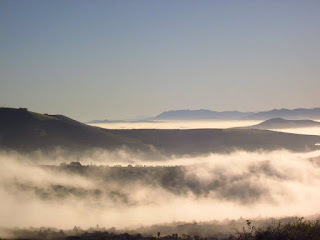 The beautiful views remained hidden under a misty coat with tantalising glimpses of table mountain and the Helderberg popping through. 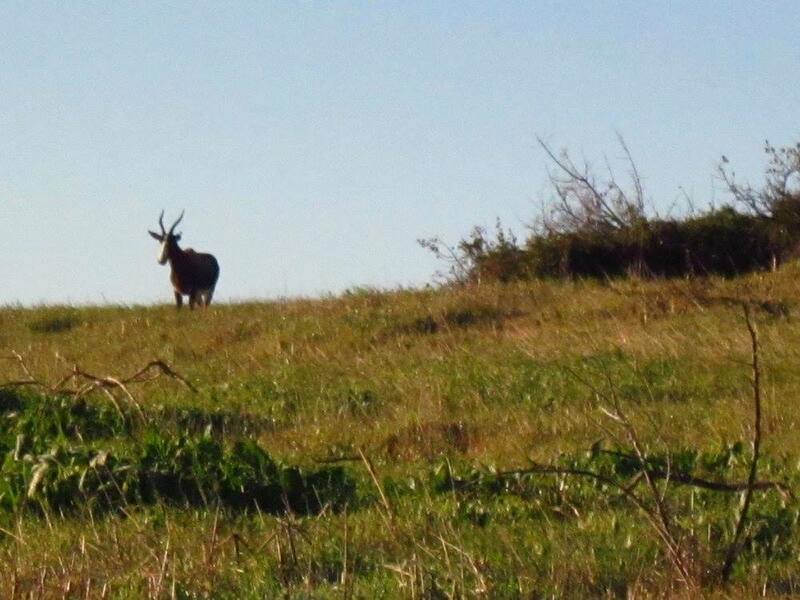 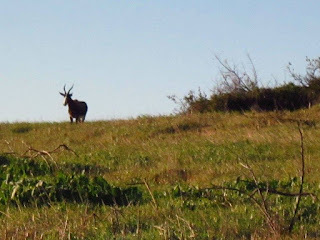 The two remaining bontebok made an appearance and watched from a distance as we made our way to the top. 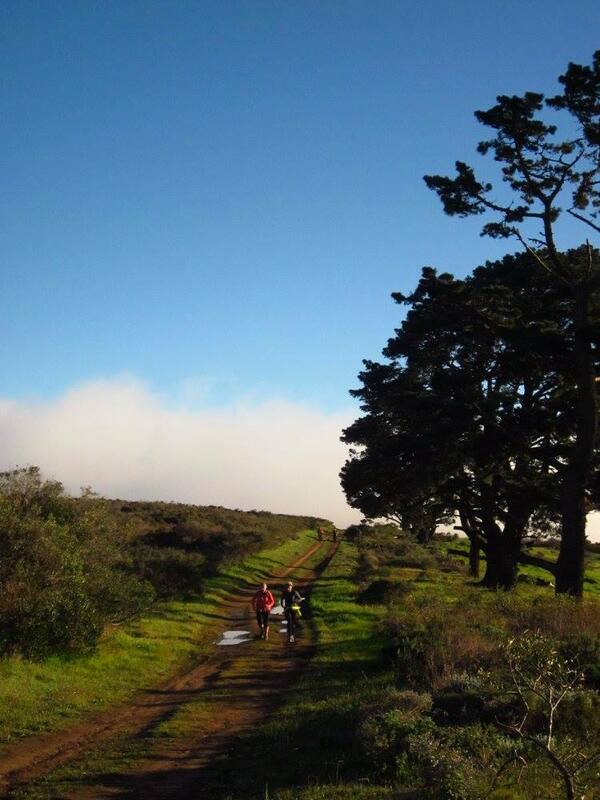 A few people did some mud skating, but no serious injuries reported. 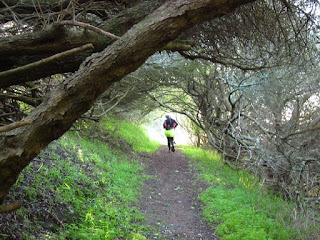 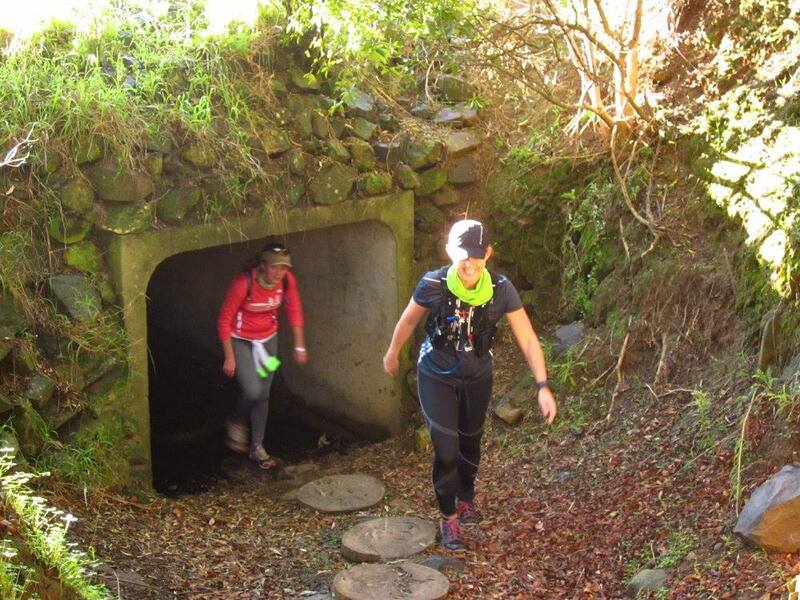 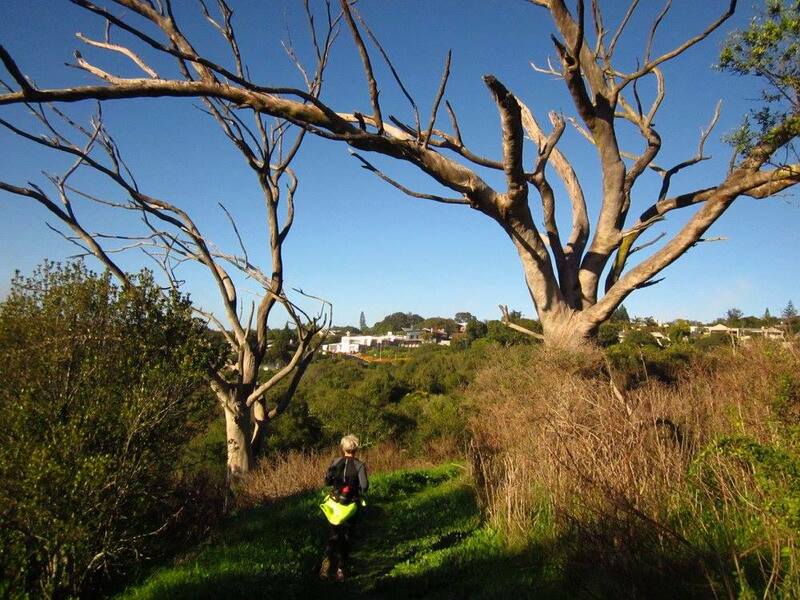 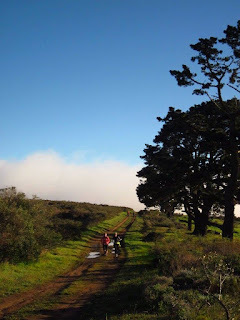 A beautiful venue with runnable single track, jeep track, hills and amazing scenery - definitely to be repeated. Julian and Geoff celebrated their 100th run with the trailers - congratulations!